With a height of 133.5 mm, a thickness of 11.5 mm and a total width of almost 69 mm, this phone is elegant-looking and comes with a couple of impressive features. If using it for over a year now, you started noticing some errors, crashes and other issues, this article will be of great help. By looking at the most common problems on the device, we will teach you how to do a hard reset on the Lenovo A800. This operation is recommended on any phone that stopped working properly, became slower than usual, started shutting off at unexpected times or simply refuses to respond to usual commands. If this is your case, you should also know that a master or factory reset will delete the files stored on your internal memory. This means that your music files, as well as videos you recorded, movies you copied, apps you installed and photos you took should be saved on another device before we get going. Before we step a little further, let’s take the time to explore how the A800 actually works! To summarize, this smartphone has been officially released at the beginning of 2013 and uses the Ice Cream Sandwich version of Android as its operating system. It only comes with one 5 MP camera on the back, but this one is equipped with geo-tagging and autofocus, is great for taking photos and can also record 720p videos. 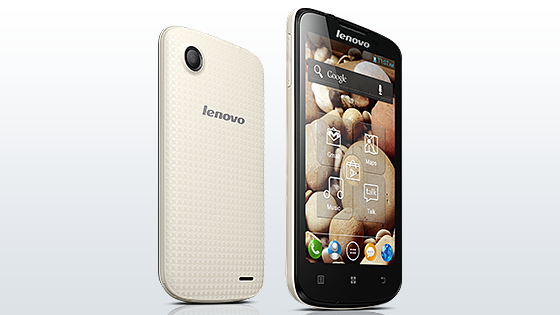 The processor used by the Lenovo A800 is a dual-core 1.2 GHz one, and the memory has a storage capacity of 512 MB RAM. You are able to install and run a wide variety of apps from Google Play on this device, but some of them might not be compatible with this specific model. In case you downloaded one of these apps without making sure that they work with the A800, this might be the reason of the lags, freezes and other issues you’re experiencing. Similar to the way you’d perform a master reset on other Lenovo models, this one can be restored to factory settings by using two different methods. They might both work on your device, but it mostly depends on how complex the problem you’re dealing with is. In case you can still access the menu, you might want to give the first method a try. This one should not be performed before trying to make some space on the disk by erasing unused files and uninstalling apps you don’t need. We also recommend doing the typical soft reset before you get started – this one is easy to do by pressing and holding the Power key for a few seconds until the device shuts off.This is when you should remove the battery and wait for a minute. When you place this one back into the smartphone, you should notice a few changes. Go to Settings, and then choose Backup and Factory Reset. Touch Factory Data Reset and select Reset Phone. Read all warnings carefully and press Erase Everything. Wait for the reboot to start and be completed. This method won’t work on a Lenovo A800 that has a blocked keyboard or shuts off every now and then. If whenever you try to access your settings or open a certain app, your phone refuses to respond to your commands, you might need to use the following solution. Turn off your phone and make sure it is charged. Use the Power and Volume Up keys to turn it on and wait for a few seconds. When the warning pops up, choose Reset Device using the Volume buttons. Confirm your selection with Power and wait for the process to be complete.